Constructed in two phases over three years, the project included extensive site work, a wastewater treatment plant, a new high school and core facility, and a gut renovation to the existing middle school. Gilbane served as the construction manager at-risk for the new integrated Middle/High School. The project consisted of a gut-renovation to the pre-existing middle school and the construction of a new adjacent high school. The new high school building provides a state-of-the-art learning environment for students and faculty, offering flexible classrooms, high-tech laboratory spaces, and small group learning areas. 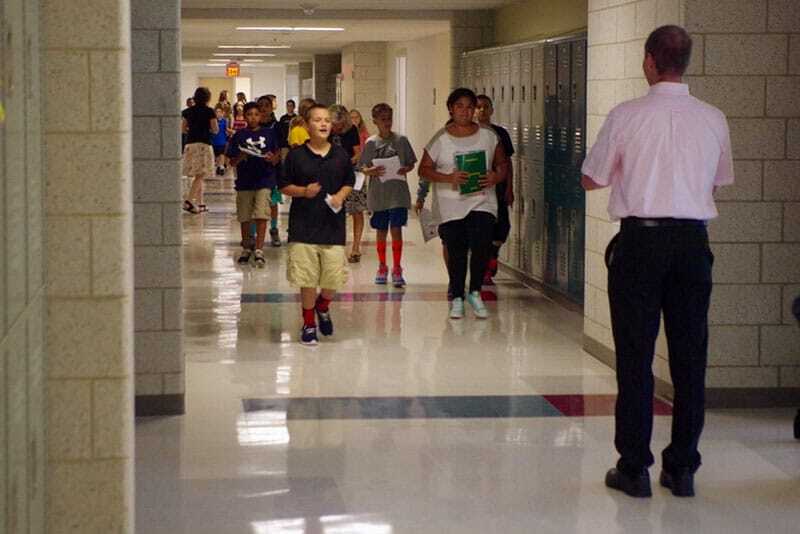 The pre-existing 136,410 SF middle school connects to the new high school through a large open Main Street corridor. 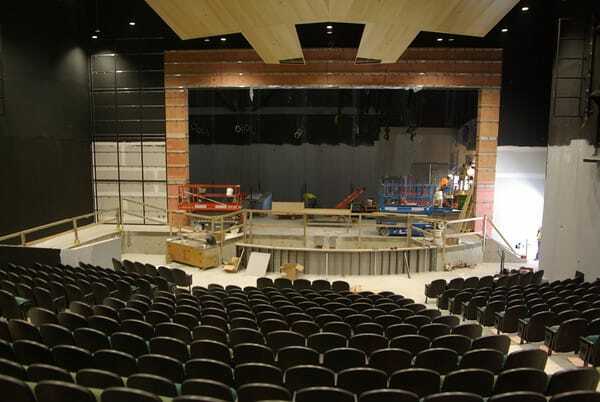 The Middle/High School shares a new performing arts center/auditorium; kitchen and cafeteria; gymnasium; library/media center; and administrative spaces as well as core mechanical spaces. Combined, the facilities will serve a total of 1,370 students in grades six through 12. Designed to achieve LEED® Gold certification, several sustainable features were implemented in the building’s design, including a high performance exterior wall system consisting of high visible light transmittance, daylight dimming light controls with photocells, and water systems allowing for increased water efficiency through the use of low-flow fixtures. The four-phased construction schedule allowed occupancy of the new high school prior to the middle school renovation. The schedule was compressed, where possible, in order to expedite the opportunity for students to move into the new high school. Additionally, the project required extensive site work due to the existing middle school topography which required large cut-and-fill quantities of land. The project scope also included the construction of a wastewater treatment plant, abatement and demolition of the existing high school, and extensive athletic field work including the construction of a softball and practice field, discus/javelin field, and a team room to serve the existing football field. Gilbane’s Schedule Risk Analysis services provided measurable data regarding the condition of a project by recognizing, evaluating, and modifying schedule risk using proven statistical simulation techniques. 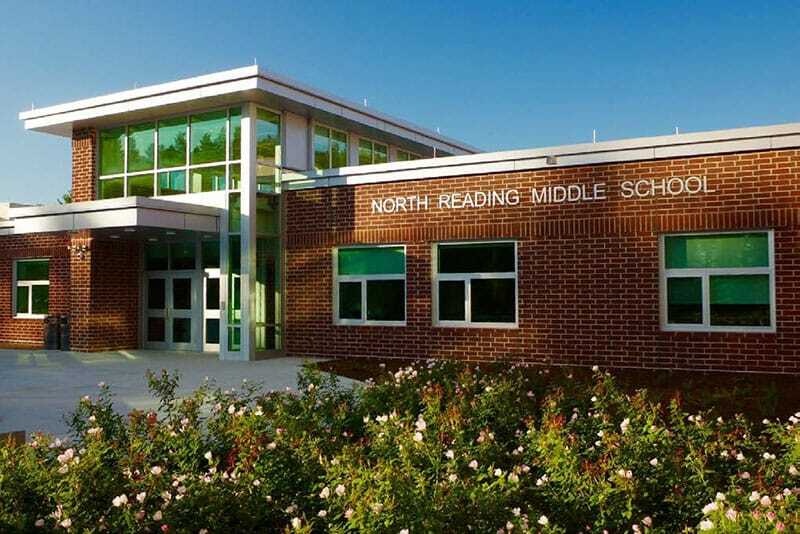 The North Reading Middle/High School project’s first SRA was performed on the initial baseline schedule and found that 50 percent complete with 18 months of construction remaining. 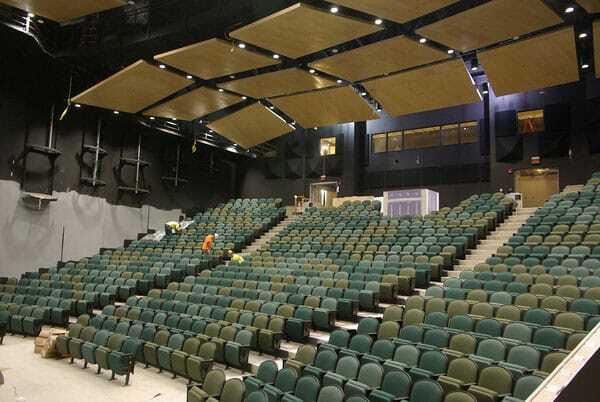 Although the baseline schedule predicted the project would be completed on time, the first SRA predicted a possible 3-4 week delay due to risks concerning the steel erection sequence, high-end auditorium, and gymnasium. Due to the information given by the SRA, the team was able to create an action plan to diminish the schedule risks. Five months later a follow up SRA was executed and projected a completion date 6-8 weeks early, a 9-12 week advancement in the outcome in contrast to the initial baseline schedule. Due to a proactive risk management approach and the work of the project team, the project went from a possible delay to early completion.